First and foremost, we want to thank you for participating in the National Motorcycling Profiling Survey (FY 2016), your feedback is an important step in identifying the issues and trends that impact the motorcycling community. The data collected in this survey will help motorcyclist rights advocates throughout the country gather information that is needed to build an effective argument in the request for legislative relief in protecting all aspects of your motorcycling lifestyle. Moreover, this survey will provide quantifiable up-to-date data from a national perspective, as well as a state and local perspective. 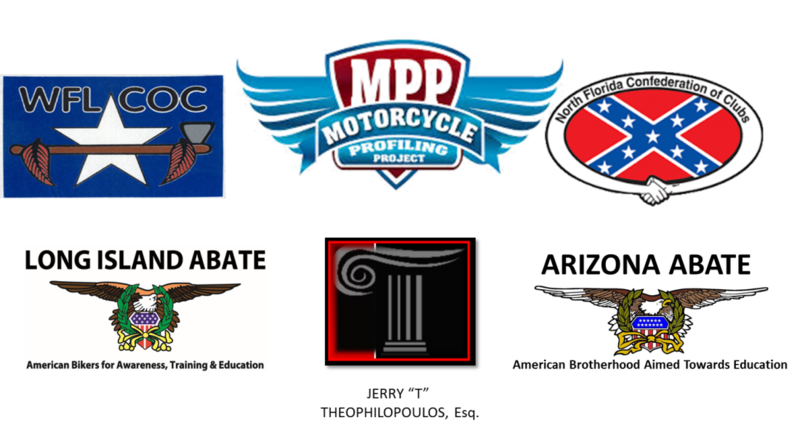 This information will help identify the geographical areas that have a higher propensity of motorcycle profiling and discriminatory acts directed towards bikers. This survey will also help identify the core issues and support legislative relief efforts on a state and national level. We would also like to identify the biker friendly areas and share this information with the communities so they can look into the best practices and what is working, and help build a better social environment for all. This survey will take about 15 minutes to complete. HOWEVER, it will provide a lifetime of benefits.